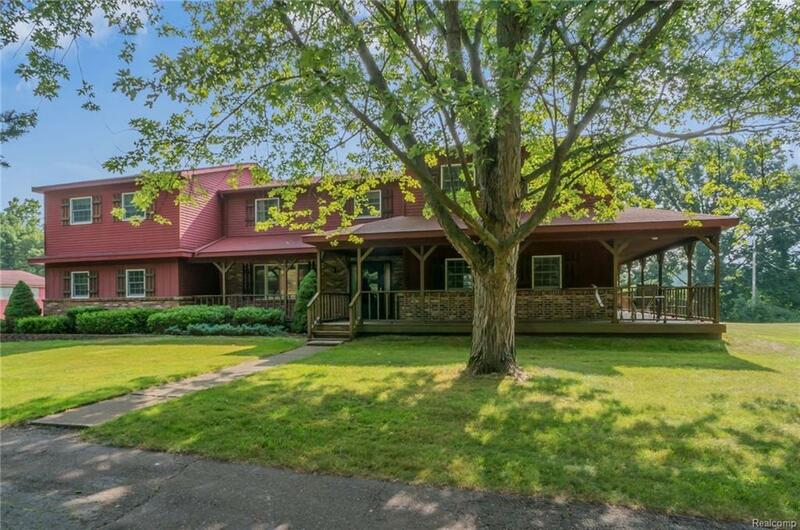 Beautifully maintained Colonial in Howell located on 11.5 gorgeous and secluded acres with woods and small creek and abundance of wildlife. This 5 Bedrooms home has 3.5 Baths, spacious Family Room with natural fireplace and large open Kitchen with plenty of counter space and cupboards. Many windows in kitchen. Also features in-law apartment (currently an office) with full Bath, kitchenette, and itâs own separate entrance. Property is ready for horses with shelters, pastures and corral areas. Large pole barn has cement floor and drive-thru doors and additional shed with fenced area. Covered country porch on 3 sides of the home for quiet mornings or evenings & watch changing seasons and wildlife in your own yard. "Up northâ feel yet short distance to M-59 & US-23 x-ways. Contiguous 2 acres parcel available (MLS #218062192). Seller does NOT authorize access to this property to any prospective buyers who are not accompanied by and in physical presence of a licensed Real Estate agent.